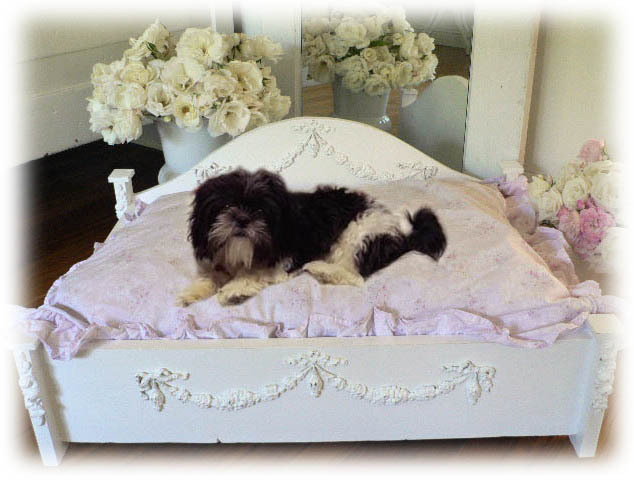 All of our Pet Furniture is individually hand-crafted from solid wood in the U.S.A. Each one is hand painted, slightly distressed, and adorned with beautiful floral appliques. There is absolutely no assembly required. 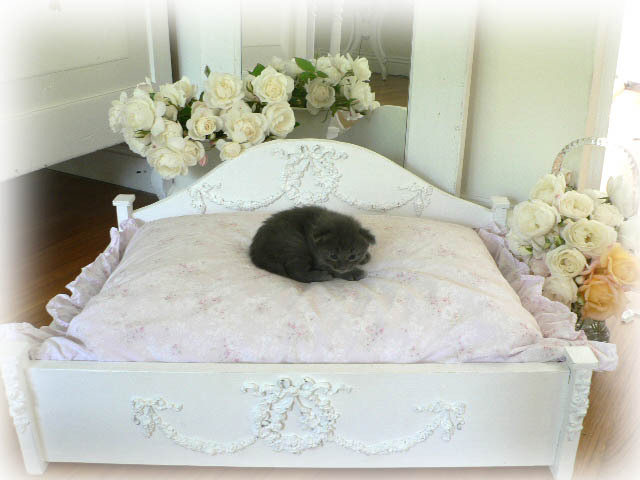 The beds come in small/medium & large sizes. To view all of our different bed options please click on the bed size you require below. 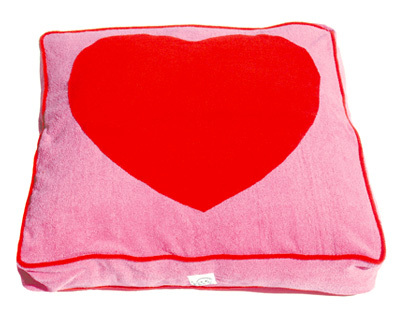 Customizations are available on all of our products.